Doctor Strange is everywhere right now, thanks to the November 4th release of the Marvel movie about the master of the mystic arts. 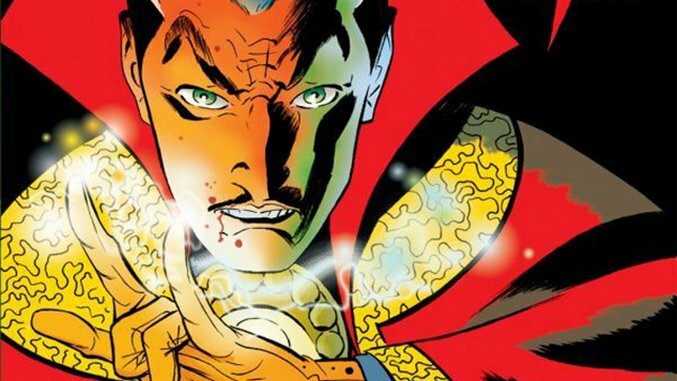 Believe it or not, Strange has often been hard to find on the comics shelf. While he’s been a reliable guest star ready to bail any hero out of mystical malarkey, the good doctor has rarely had his own comic. The list of classic Doctor Strange stories is heavily slanted toward the in-all-senses original stories by Stan Lee and Steve Ditko, which still hold up today as wildly inventive. In particular, Ditko’s dimension-hopping art feels as fresh and mind-bending as ever. The current series by Jason Aaron and Chris Bachalo has been very good, and will likely have a high place on the list of great Strange runs. 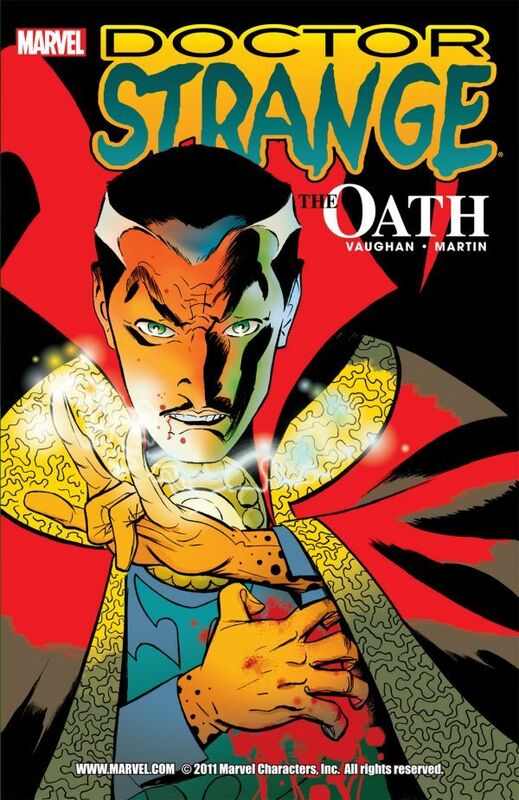 But the best candidate for Greatest Doctor Strange Story Ever is a little mini-series published 10 years ago: The Oath, written by Brian K. Vaughan and illustrated by Marcos Martin. By exploring the medicinal roots of the good doctor, Vaughan and Martin created a modern classic. The plot involves a hunt for a mystical MacGuffin that has more real-world relevance than the Casket of Ancient Winters, the Infinity Gauntlet or the latest cosmic-majig. Strange has acquired Otkid’s Elixir, which promises to cure cancer. Finding this cure is personal for Strange, since his longtime servant, Wong, has an inoperable brain tumor. The plot is thickened by a bullet wound caused by Hitler’s handgun. We’ve all been there. Night Nurse helps Strange and Wong with their quest, and also flirts with Strange’s astral projection while she tries to remove a bullet from his bleeding body. It’s a helluva meet-cute. The Oath is cleverly titled. Since the Lee/Ditko days, Strange has been known for oaths such as “By the hoary hosts of Hoggoth!” and “By the mystic moons of Munipoor!” But the oath this series hinges on is Strange’s oldest: the Hippocratic one. 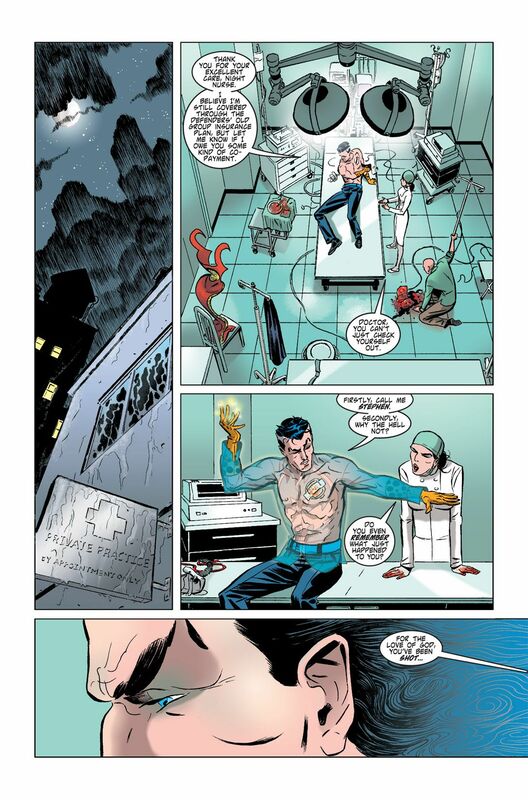 Like so many classic series, The Oath delves into the essence of the character, which for Strange is medicine. Much as Warren Ellis and Adi Granov’s Extremis storyline brought Iron Man back to his technological roots, The Oath brings Doctor Strange back to the basics as a doctor; he’s never felt so grounded. In fact, every element of this series is informed by a deep understanding of who this relatively obscure superhero is, and what he can and can’t do. For example, the weak state of Strange’s hands becomes a major plot point. Strange isn’t always listed among disabled superheroes such as Charles Xavier or Daredevil, but he should be. His incapacitated hands are a constant reminder of his limitations and mortality, in contrast to the god complex he had as a surgeon. Vaughan even manages to make the villains appropriate for a book about a doctor: rather than the Dread Dormammu or Baron Mordo, Strange faces an evil pharmaceutical company (pardon the redundancy) concerned that magic cures could ruin business. Though Doctor Strange is one of an endless number of straight male leads, this series was a little ahead of its time in terms of diversity, thanks to the strong portrayal of Night Nurse and Wong. Night Nurse—actually a nurse practitioner, as revealed here—runs an underground clinic for superheroes to get patched up, also shown during the wonderful Brian Michael Bendis/Alex Maleev run on Daredevil. Here, she’s far more than a nursemaid for supes, as she accompanies Strange and Wong throughout the comic, holding her own as a hero. Without her, the magic bros would probably have died in the first issue. Wong is also given far better treatment than usual. The “Asian manservant” trope is a nasty stereotype, but Vaughan puts the Strange-Wong relationship in a more equitable and enjoyable context: as best friends and partners. In fact, in some areas I won’t spoil, Wong assumes the dominant position in the relationship. Just as Ed Brubaker added crucial details to backstory of Bucky Barnes to make the presence of an unpowered kid alongside Captain America more logical, Vaughan gives Wong additional roles, fleshing out his character and making his “master” less creepy. Martin’s art, as always, is delightful, His expressive, cartoony style is reminiscent of (but distinct from) the work of Darwyn Cooke, Bruce Timm and Michael Avon Oeming. Martin also lives up to the insanity of Ditko’s trippy, interdimensional, batshit art. Even as Ditko was devolving into a weird obsession with Ayn Rand, his art was leaving the planet and inspiring hippies to bogart his comics. Martin’s art is not slavishly Ditko-like, but his clean lines (along with Javier Rodriguez’s bold colors) put this comic in a pleasingly Ditko-esque tradition. In fact, the art and writing fit together seamlessly, which will be no surprise to readers of Vaughan and Martin’s subsequent creator-owned collaborations, The Private Eye and Barrier. Like most great superhero comics, The Oath feels a bit like a creator-owned comic anyway. When Strange is informed of Wong’s diagnosis, Martin perfectly captures Strange’s shock and grief, then anger, which Vaughan accentuates with lines like “Oh, shut up with that zen crap” (in response to Wong’s acceptance of his fate). That’s a hilarious line for a sorcerer, and an appropriate one for this sorcerer. Though Strange became a better (and weirder) guy since the accident that injured his hands, he’s still the same guy. Vaughan and Martin, in their portrait of Strange, show how our strengths and weaknesses remain consistent, even as our lives shift and shimmy. We’ll see if Benedict Cumberbatch and company can pull off a satisfying Doctor Strange movie, but at least we’ll always have The Oath: a vibrant, heartfelt, beautiful comic that has a lot to say about the tough choices all people make—particularly doctors and anyone in a caregiving role. 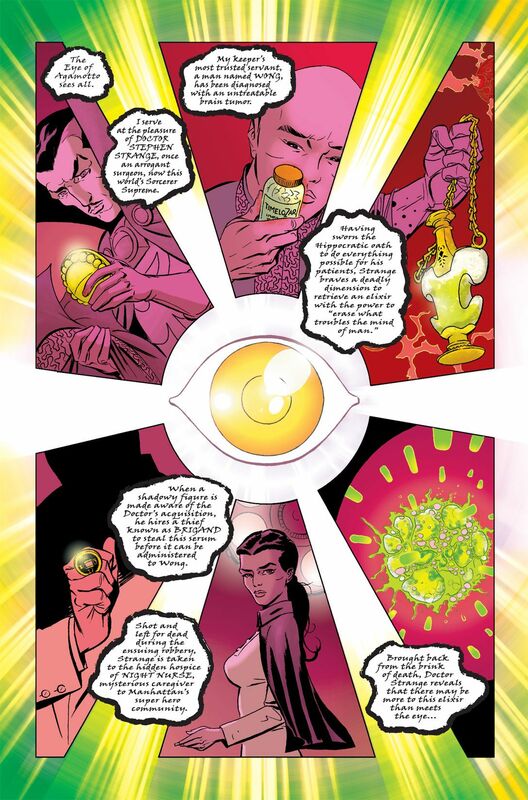 The Oath is a great reminder that even with the Eye of Agamotto, nobody sees all.